A long healthy life is the wish and expectation of every human,we perceive long to be somewhere around (100) years , give or take a few years. Our earthly existence revolves around this idea,that we deserve to live as long as possible and if for some reason we don’t ,make our life less meaningful or for that matter ,we were some how cheated out of time/life here on earth. 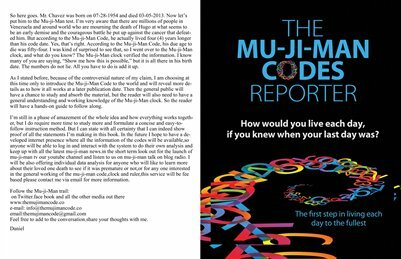 After examing the mu-ji-man codes of many hundreds of individuals from all walks of life,we see that every individual is coded to live to a specific age and time,why this is so ?,we can only speculate that it is natures way of keeping order,it will be hard to imagine everyone being born or for that matter dying at the exact same day .The government from every country already know the average age of expiration of its citizens,and that info is based on averaging the actual age of death for its citizens over a specified period of time.And despite those averages ,everyone ignores the average and still wish and hope for something beyond it,and some people do achieve and age beyond it. If we took a step back and take the time to look at the bigger picture,we will see that it does not really matter how many years we spend on this earth,because after our death time will eventually erase us from memory.Time is the master of all men and all things,even the mighty universe will one day succumb to time. When we measure time by the universal method,we see that to us what seem to be a long time ,such as living to the ripe old age of 100 is in fact less than two(2) hours on the cosmic clock. The question now becomes,how many more minutes do I have left ,on the cosmic clock? And more importantly what should I do with the minutes I have left?. Condolences to the family and friends of Ms. Haley Okines ,she was the young lady from Britain who was a poster child for the extremely rare disease called Progeria,this disease causes premature aging,and it is said that she had aged to 104 ,she was actually 17. Here at the mu-ji-man codes we are always curious to learn more about what is coded into a persons date of birth and birth name so we could not resist the opportunity to see if this young woman was indeed coded to 104 as is reported,and our analysis of her mu-ji-man codes revealed that she was both coded for 17 and 104.this is a case for further study to see what other tid bits are pre coded into her codes. Haley is a traveler from a different dimension and was just making a pit stop here on earth to help us understand the foundation of true humanity ,and to educate us about this rare disease ,not with words but with grace and beauty as she bore the burden of the affects of the disease. I hope her family will find the strength in knowing that her mission here is completed and she has opened the door(#5) to her next mission.She is truly at peace as she embarks on her continuing journey through eternity,so we must all wish her well as we say good bye . Hayley Leanne Okines (3 December 1997 – 2 April 2015) was an English girl with the extremely rare aging disease known asprogeria. She was known for spreading awareness of the condition. Although the average life expectancy for sufferers is 13 years, Hayley was part of a drug trial that had seen her surpass the doctors’ predictions of her projected lifespan. However, she died on 2 April 2015 at the age of 17 due to complications with pneumonia, 4 years beyond the doctors’ initial predictions and after attending a full scholastic year in college. Diagnosed in 1999, at 2 years old, Okines was born with progeria, a genetic disease that causes her to age eight times faster than the average person. This put her projected lifespan at thirteen years. She frequently travelled to Boston to receive new treatments in the United States. In 2012, an autobiography of Hayley Okines was published titled Old Before My Time. The book was co-authored by Hayley Okines, her mother Kerry Okines, and contributor Alison Stokes. Hayley was living in Bexhill-on-Sea, East Sussex, with her mother Kerry, her father Mark, and younger siblings Louis and Ruby (neither of whom has progeria). She was attending Bexhill College. Okines was the subject of television specials both in Europe and in the United States. Discovery Health aired a special titled Extreme Aging: Hayley’s Story, which focused on the balance of the disease being currently terminal but with a possible cure on the horizon. In the UK, a television documentary titled Extraordinary Lives also discussed Okines, her condition, and her options. When she was 13 years old, she was also featured on a French television show in 2012 [20 January 2012] called ‘Tous Différents’ (NT1) (translation: All Different). At that time she already had a physical age of 102 years. When she was ten years old, Okines was featured in “Hope for Hayley”, an episode that was part of the British series Extraordinary People. The episode concerned Okines’ trips to Boston for treatment. She was featured in the second part of a three-part documentary series called Make Me Live Forever, in which presenter Michael Mosley investigated a number of proposed treatments to enable humans to extend their lifespan. Okines was discussed in relation to telomeres (short telomeres are a characteristic of Progeria) and their apparent role in the ageing process. She was also featured in a report by Tara Brown on the Australian version of 60 Minutes. Although the United States’ Progeria Research funded Okines’s treatment, airfare for the family was left to them. Some athletes were inspired by Okines to raise money for progeria research. London’s Chelsea Football Club raised thousands of pounds through a charity raffle in Okines’s honour. Additionally, after Steve Keens saw Okines on a television special, he bicycled 1,000 miles (1,600 km) to support her. Brian Bartlett, SRC Roadworks and Cultural Outreach Representative at Glasgow University is notable for his work with Hayley. On 5 December 2010 Hayley met Justin Bieber. This was thanks to a group of people on Twitter making Justin aware of Hayley. When Jane Winiberg saw a progeria television special, she and Mark Street wrote a song about Okines and other children. The Kids Choir 2000, which includes Okines,performed the vocals on the song, titled “Voices of Tomorrow”. ”Life Will Find a Way” is another similar track on the album, and the profits are being donated to The Progeria Research Foundation. Lizzie Velásquez, American woman with a non-terminal condition similar to progeria who is an author and motivational speaker. Sam Berns, American male with progeria who was the only child of the doctors who established the Progeria Research Foundation. Jump up^ Kerry Okines, Mark Okines (2013). “Frequently Asked Questions”. Hayley Okines – My Life With Progeria. Retrieved 5 January 2015. ^ Jump up to:a b “Inspiring People: Hayley Okines”. Learning for Life. Retrieved 18 October 2009. Jump up^ Miller, Tracy (16 April 2014). “Rare genetic disease causes rapid aging in children – but new treatments offer hope”. Daily News (New York). Retrieved 7 May 2014. Jump up^ Larimer, Sarah (3 April 2015). “Hayley Okines, a teen trapped in a 104-year-old’s body, dies at 17″. Washington Post. Retrieved 3 April 2015. Jump up^ “What Is Progeria?”. CheckOrphan. MediLexicon International Ltd. 13 May 2009. Retrieved 18 October 2009. Jump up^ “Nieuwe docureeks ‘Against All Odds’ volgt bijzondere en inspirerende mensen”. TV-Visie (in Flemish). 5 October 2009. Retrieved 18 October 2009. Jump up^ “Girl, 9, who ages eight times faster than normal to try new drug”. Daily Mail. 29 May 2007. Retrieved 18 October 2009. Jump up^ “Extreme Aging: Hayley’s Story”. Amazing Families. Discovery Health. Archived fromthe original on 7 March 2009. Retrieved 18 October 2009. Jump up^ Tim Utton. “Courage of girl who ages eight years in 12 months”. Daily Mail. Retrieved18 October 2009. ^ Jump up to:a b Lynda Turner (16 February 2008). “Hayley Okines’ battle With Progeria to be shown on Channel Five Documentary”. Mid Sussex Times. Retrieved 18 October 2009. Jump up^ “The Progeria Research Foundation Newsletter, December 2005″. The Progeria Research Foundation. December 2005. Retrieved 18 October 2009. Jump up^ “Shop in our Store”. The Progeria Research Foundation. Retrieved 18 October 2009. Jump up^ “The Kids Choir 2000″. Amazon.com. Retrieved 18 October 2009. Kerry Okines, Mark Okines (2006). “Gallery”. Hayleys Progeria Page. Retrieved 18 October 2009. This page was last modified on 4 April 2015, at 01:32. Condolences to the family and friends of Mr. Robert Schuller,he was a well known televangelist and was the founder and pastor of the the Los Angeles based church,known as the Crystal Cathedral.DR. Schuller was a remarkable human being and a blessed soul,and has touched the lives of many many millions of people around the globe. We wish him a very peaceful journey as he traverse eternity. Robert Harold Schuller (September 16, 1926 – April 2, 2015) was an American televangelist, pastor, motivational speaker, and author. He was principally known for the weekly Hour of Power television program, which he founded in 1970 and hosted until 2010. He was also the founder of the Crystal Cathedral in Garden Grove, California, where the Hour of Power program was previously broadcast. Robert Harold Schuller was born near Alton, Iowa, on September 16, 1926, to Jennie (née Beltman) and Anthony Schuller. The youngest of four children, Schuller was of Dutch descent and was raised on a parents’ farm nearby in a small-knit community of Dutch-Americans. In 1931, just weeks before his 5th birthday, a visiting uncle, who was a minister, told him to be an evangelist. Schuller called it the “single most defining moment of my early life.” After graduating from Newkirk High School in Newkirk, Iowa, in 1944, Schuller studied at Hope College and received a Master of Divinity degree from Western Theological Seminary, which follows the theological tradition and Christian practice of John Calvin, in 1950. He was ordained as a minister in the Reformed Church in America. He worked at Ivanhoe Reformed Church in Riverdale, Illinois, before moving to Garden Grove, California. There he opened the Garden Grove Community Church in 1955 in a drive-in movie theater. He also rented a 300-seat former Baptist church about four miles (6 km) from the drive-in theater. Schuller presided at a service in the chapel at 9:30 on Sunday mornings and then drove his organ to the drive-in to preside at another service. As the size of the congregations grew, Schuller purchased 10 acres (40,000 m2) at 12141 Lewis Street in Garden Grove for a “walk-in, drive-in” church serving both congregations. Ground was broken September 10, 1958, for construction of the new church designed by international architect Richard Neutra. The church was completed in 1961 at a cost of $3,000,000. The dedication service was held November 5, 1961. The design of the new church building enabled Schuller to preach his sermons to worshipers in 500 cars as well as to members of the congregation inside the church. A “Tower of Hope” building was added on the north side of the drive-in church building in 1968; The Tower of Hope rose 13 stories (approximately 130 to 150 feet in the air, the highest structure in Orange County at that time, and was topped by a cross. The illuminated cross that stood atop the Tower of Hope was 90 feet tall. That same year, Schuller purchased the 10-acre (40,000 m2) walnut grove that bordered the north side of the Garden Grove Community Church for the construction of the much larger “Crystal Cathedral” designed by architect Philip Johnson. The church, which has glass walls and ceiling, was dedicated on September 14, 1980. As the Crystal Cathedral’s founding pastor, Schuller was seen and heard internationally on Sundays on the world’s most widely watched hour-long church service, the Hour of Power, 1500 of which were recorded. In March 2012, under new leadership, the ministry began broadcasting a shortened 30-minute version of the Hour of Power. Discovery Channel and Lifetime are airing the shortened show, but the 60-minute version is continuing on the Trinity Broadcasting Network. On June 15, 1950, Schuller married Arvella De Haan (1929-2014), a church organist, who was instrumental in developing the music department at the Crystal Cathedral and produced the Hour of Power for over 40 years. The Schullers had one son, Robert Anthony, and four daughters, Sheila, Jeanne, Carol and Gretchen. Schuller’s son, Robert A. Schuller, and eldest daughter, Sheila Schuller Coleman, have both been senior pastors of Crystal Cathedral. His grandson Robert V. “Bobby” Schuller succeeded as the lead pastor of the Hour of Power in 2013. Schuller’s second daughter, Jeanne Dunn, and her husband, Paul Dunn, oversaw “The Glory of Christmas” and “The Glory of Easter” productions. Jeanne Dunn has assisted in various editorial contributions to various printed works and for Schuller’s books. Her husband co-authored The Possibility Thinker’s Bible and Living Debt Free with Schuller. The third daughter, Carol Schuller Milner, was the writer, director, and producer of Creation: Once Upon All Time that debuted in 2005 to an audience of over 70,000. She co-wrote Schuller’s autobiography, My Journey, and has written several other works. The youngest daughter, Gretchen Schuller Penner, was director of programming for the ministry. 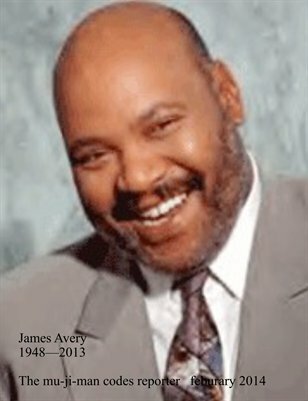 Her husband, James Penner, was the producer of the Hour of Power telecast. Both were fired in a restructuring of Crystal Cathedral Ministries in March 2012. On January 22, 2006, Schuller’s son, Robert A. Schuller, assumed the role of senior pastor of the Crystal Cathedral. On October 25, 2008, however, Schuller removed his son from that position citing “a lack of shared vision”. Schuller stated that “different ideas as to the direction and the vision for this ministry” with his son “made it necessary … to part ways in the Hour of Power television ministry”.Schuller also said “I love my son and am proud of my son” and that the long-term survival of his ministry was dependent on expanding its imprint beyond the Schuller name. “The real minister’s name that we honor is Jesus, not Schuller”, he said. On June 11, 2009, Schuller announced that the church’s leadership would pass to his daughter, Sheila Schuller Coleman. On July 11, 2010, he announced that he was retiring as principal pastor of the Crystal Cathedral and would become chairman of the church’s board of directors. After a year as interim senior pastor, Sheila Schuller Coleman was elevated to senior pastor in July 2010. Coleman is the oldest of the five Schuller children and the former head of family ministries at the Crystal Cathedral. Since her brother’s departure, she had been the Director of Ministry and Mission. On October 18, 2010, Coleman announced that the Crystal Cathedral was seeking bankruptcy protection. On March 11, 2012, Coleman told the congregation of the Crystal Cathedral that she was leaving to start a new church. On January 24, 2013, the decision was announced that the Crystal Cathedral’s board of directors voted to make Bobby Schuller, the son of Robert A. Schuller, the new pastor for the Hour of Power television program as well as a non-voting member of the board. Bobby Schuller, who was filling in as a guest pastor, remained an unpaid pastor until the ministry moved to a new campus, the St. Callistus Catholic Church, which occurred in June 2013. Bobby Schuller is also a teaching pastor at the Tree of Life Community Church in Orange. In late August 2013, Schuller was diagnosed with esophageal cancer that had spread to the lymph nodes. A follow-up examination in September 2013 presented Schuller with the possibility of undergoing chemotherapy and radiation treatment that could extend his life. According to his son Robert A. Schuller, in early August 2014, his father was in a care facility in Orange County, California and in good spirits. On January 30, 2015, Schuller was hospitalized for an exploratory endoscopy, winding up needing a stent in his esophageal tract. He underwent throat surgery. On February 14, 2015, he was reported to have lost most of his short- and long-term memory and had moved to a new senior care facility. Jump up^ “Robert Schuller”. Nndb.com. Retrieved February 5, 2014. Jump up^ “Robert Schuller A Profil”. Toetsalles.nl. September 14, 1980. Retrieved February 5, 2014. Jump up^ Penner, James. Goliath: The Life of Robert Schuller (1992), p. 119. Jump up^ Penner, p. 155. Jump up^ “Drive in church – Garden Grove Community Church”. ArchInform.net. May 21, 2009. Retrieved October 6, 2009. Jump up^ “Churches: Drive-In Devotion”. Time. November 3, 1967. Retrieved October 6, 2009. Jump up^ “Diocese to retain Crystal Cathedral exterior”. Catholic Online. November 20, 2011. Retrieved November 3, 2012. Jump up^ Kopetman, Roxana (March 7, 2012). “3 Schuller family members fired from Crystal Cathedral”. The Orange County Register. Retrieved November 3, 2012. Jump up^ “Arvella Schuller, wife of Crystal Cathedral’s founder, dies at 84″. Fox News. February 11, 2014. Jump up^ “Televangelist and Crystal Cathedral founder Robert Schuller has died”, Washington Post, April 2, 2015. Jump up^ Obituary in the Los Angeles Times, April 2nd, 2015. Jump up^ “‘Hour of Power’ Preacher Removed by Father”. FOXNews.com. October 26, 2008. Retrieved October 26, 2008. Jump up^ Robert H. Schuller (October 26, 2008). “America’s Television Church ― The Church of Tomorrow (news release)”. Crystal Cathedral. Retrieved October 27, 2008. Jump up^ Anton, Mike; Quinones, Sam (October 27, 2008). “Hour of Power in media”. Los Angeles Times. Retrieved August 13, 2011. Jump up^ “Crystal Cathedral founder stepping down”. Orange County Register. July 11, 2010. Retrieved July 11, 2010. Jump up^ Grad, Shelby (October 18, 2010). “Crystal Cathedral files for bankruptcy amid mounting debts”. Los Angeles Times. Retrieved November 3, 2012. Jump up^ Bharath, Deepa (August 17, 2011). “Schuller ousted from Crystal Cathedral board”. The Orange County Register. Retrieved November 3, 2012. Jump up^ “Dr. Robert H. Schuller Honored as Chairman of the Board Emeritus”. Crystal Cathedral. Jul 2011. Retrieved August 13, 2011. Jump up^ “Crystal Cathedral: Robert Schuller commends daughter for leaving church”. Los Angeles Times. Mar 2012. Retrieved March 12, 2012. Jump up^ “Hour of Power”. Crystal Cathedral. Jump up^ “Bobby Schuller is new ‘Hour of Power’ pastor”. Orange County Register. Jan 2013. Retrieved January 25, 2013. Jump up^ “Doctors say Robert Schuller has cancer, could live another two years – Los Angeles Times”. Latimes.com. September 5, 2013. Retrieved February 5, 2014. Jump up^ Robert A. Schuller’s blog. Wikimedia Commons has media related to Robert H. Schuller. This page was last modified on 2 April 2015, at 23:29.